ice Archives • Gutters & Guards, Inc.Gutters & Guards, Inc.
Home » Posts tagged "ice"
Prevent Slick Spots Prevent Slick Spots. This winter can be a very dangerous time when ice and snow come into play. Slick spots can form on walkways due to dripping gutters. 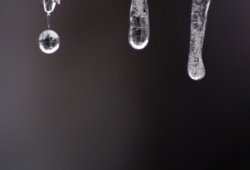 Some dripping will happen, it cannot be avoided but you can prevent the majority of it and take precautions to keep your walkways free of ice. 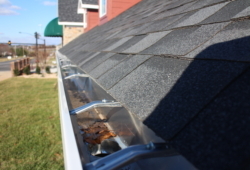 Our first suggestion is making sure your gutters and downspouts are free of all debris and clogs. Debris and clogs in your gutters can cause water to overflow and run over your gutters. 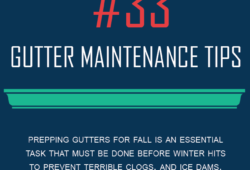 This can be avoided very easily by cleaning your gutters out at the very end of fall/ beginning of winter. This will allow water/melted snow to run easily out of your gutters. Another tip is to rake snow off of your roof. When snow begins to build up on the edge of your roof, rake it off. 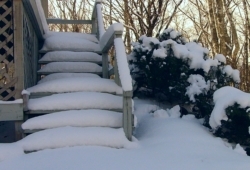 Leaving the snow there can cause ice dams to form, creating a large leaking water supply to find itself on your walkways. 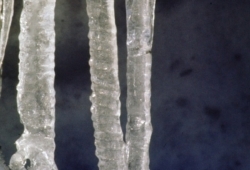 It can also cause ice icicle to form. Although ice icicles can happen no matter what you do to prevent it ( besides install heated gutter guards), you can give them less to form on and have less to worry about. Our third tip is to salt your walkways after you have cleared them. This will help melt the snow and give your a dry surface to walk on.